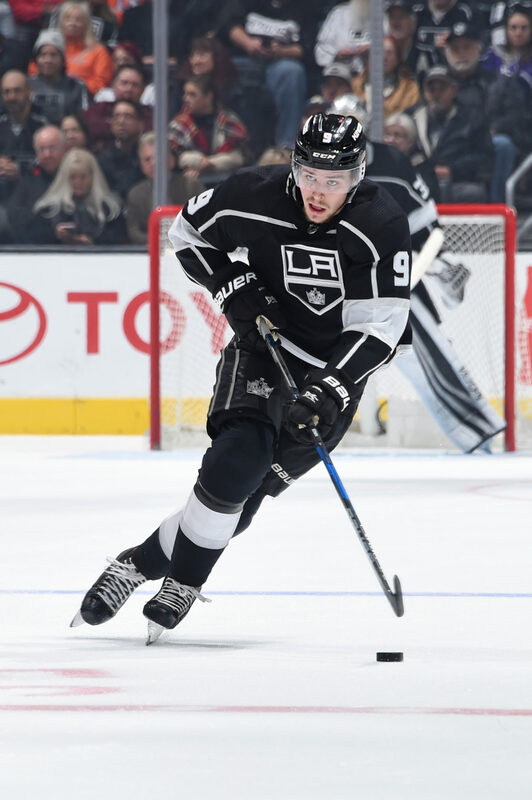 Speaking from a wider-picture view, one of the brighter spots of the LA Kings’ season was Adrian Kempe’s ability to step into a prominent role in Jeff Carter’s absence, and despite a 29-game goal scoring drought to end the regular season, still provide hard, quality minutes in which he was entrusted with difficult match-ups. Skaters he spent more than 20 minutes countering in five-on-five situations this season includes a defensive group of Deryk Engelland, Brent Burns, Travis Hamonic, Alex Goligoski, Ben Hutton, Cam Fowler and Hampus Lindholm and forwards Jakob Silfverberg, Andrew Cogliano, Micheal Ferland and Nick Ritchie. Those minutes – provided by Natural Stat Trick – aren’t, say, the types of elite match-ups that Anze Kopitar regularly sees but still include the reigning Norris Trophy winner, several shut down forwards on a stingy Anaheim team, as well as the Ducks’ top two defensemen. The possession stats, for what they’re worth in measuring the value of a 21-year-old who finished with 16 goals and 37 points and thrived in the game’s more competitive, edgier moments, weren’t as rosy. His raw Corsi-for rate was 48.0% despite the second highest offensive zone faceoff percentage on the team. (This is also likely a byproduct of Kempe’s faceoff struggles, which placed him in the offensive zone to begin shifts to a much greater regularity than he opened shifts in the defensive zone.) His 1.04 PDO was the highest of any team regular who finished the season in L.A.
And that’s not the biggest deal for a player who was a rookie in 2017-18. 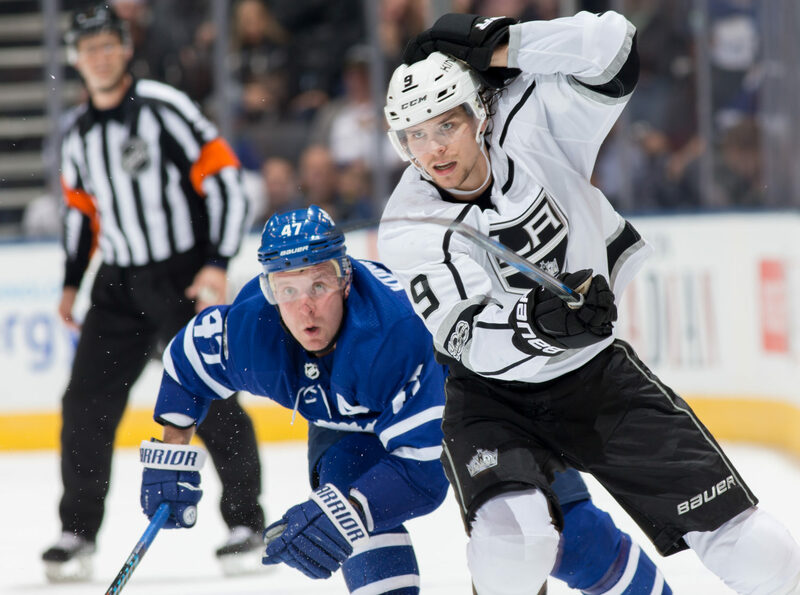 The question of Kempe as it related to the past year was whether he could play and hold down a spot in the NHL, and that answer came back as “yes, definitely.” Several of the secondary questions asked in his evaluation last summer were whether he was more of a role player or a scorer, and whether his future was at center or left wing. 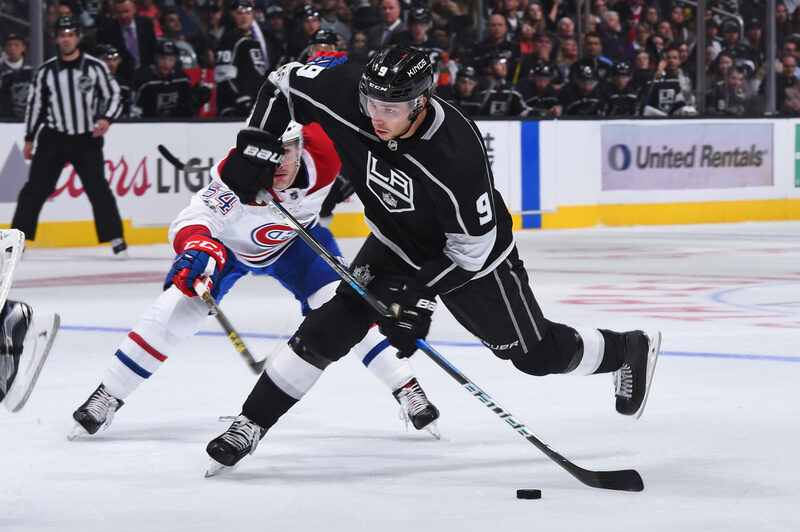 Those questions will still be interesting story lines to follow in 2017-18, though it’s clear that the Kings are enthralled with his ability to hit the middle of the ice with speed, which, combined with his forechecking ability and heightened competitiveness along the boards and in puck battles, provide the baseline attributes of a smart and highly responsible player (who may be able to score regularly). This would seem to make him most useful as a center. Adrian had 37 points this year, and he went through a long stretch towards the end of the year where he wasn’t as productive as he was earlier in the year, but 37 points from that position, I think it’s impressive. It’s more than he scored in the American League at this level. We like him in the middle of the ice. I think the faceoff circle has got to be a big priority for him, because I think it really limits his situations om the ice at times based on what’s going on because it’s an area of his game that needs to improve. He’s worked hard at it. We’ve got some different ways to attack that with him, with people trying to help him, but there’s going to have to be a big emphasis in the off-season. We like him in the middle of the ice. We think he has shown ability to play against top guys and be really responsible, and he has an ability to take pucks in traffic and get to open ice and really generate a lot of speed on the rush. He doesn’t just make your team faster, he makes the people he’s playing with faster. That’s something we’re going to look at with him. But we’re excited about the glimpses that he’s showed us this year and what we think he might be capable of. We’re always wondering what it his ability to score at this level. 37 points for a kid coming in that hadn’t put those kinds of numbers up beforeis a reason to be encouraged about him, and I think he is a player that can move to the wing if we need him to at times, but ill be the first one to tell you that we’ve been impressed with what he’s been able to do in the middle of the ice at center ice. The scoring areas for Adrian, we still think he created with his speed. If you go back and look at some of the situations he created with his speed, created opportunities that didn’t get finished, I think that was part of it. But there are areas of his game that we need to address. Like, I thnk Adrian’s a really good player on the rush. We’d like to see him get in shooting areas more and shoot the puck more. But, I’ll be the first one to tell you, t his kid made big strides, even at the end of the year. I think if you have really good players on the team, there are going to be times when they help you win hockey games even when they don’t score. We all talk about Kopi like that. When Kopi doesn’t score, he’s still helping your hockey team win games, and I thought Adrian did that. Probably Game 3 is the one that stands out for me. I thought he was terrific. He’s still trying to create with his speed. We used him in power play situations throughout the year, but you’re right. We want a guy that doesn’t go through the long stretches without scoring because he’s a good enough player to create those opportunities, but offensively we would like to see him get inside the dots, get in the blue paint alittle more, use his ability to get some separation in the offensive zone and ultimately put himself in more shooting situations where he’s putting more pucks on the net. I think we can help him with that, but I thought he played with good energy. I wouldn’t say that he was ‘tired.’ I thought he played with good energy and really carried the speed that we expected from him in our lineup and played in a lot of situations that we expect from him in our lineup, and I think if he gets a little more consistency with the people he’s playing with, I think he’ll get a better result in the end. He got thrown into a spot when Jeff went down and into a spot that I don’t think anybody expected him to play. To start the season anyway and not have that much pressure on him, and that much responsibility, you know, Carts’ shoes are big shoes to fill and I thought he did a really good job, throughout the season of being there and just obviously playing a really good team game. But then in saying that I’m sure he’ll be the first one to tell you that he can offer more and that’s a learning process. I mean, that’s his first full year in the league and again, speaking from experience, it takes a little bit of time to figure out your routines and what’s working for you and what’s not. It too me a little bit too, so I’m sure he’s going to make some adjustments over the course of the summer and even coming here next year, he’ll be a really good player for us. « Previous Post DoPS releases video, but one hit missing; better enforcement of non-hockey plays?